New Item! Expected to Ship 06-01-2019. Sturdy composite construction and compact size ensures its ready for the bumps of the road. 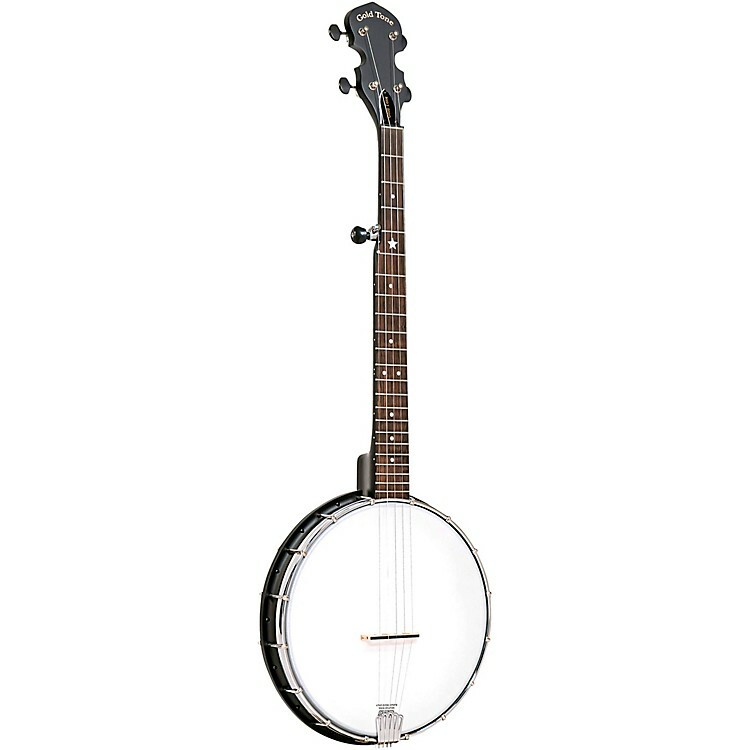 The AC-Traveler banjo is an A-scale short neck version of Gold Tone's popular AC-1 5-string banjo. The composite resonator makes it very durable. The AC-Traveler banjo's size makes it lightweight and easy to transport, which is perfect for making music wherever you want, like taking to the beach or camping, or for a child to play on. Includes gig bag. The tuning is open C, which is a 4th up from standard open G tuning. So you can still play your banjo chord shapes and licks. Order today to take it wherever you go.